The Suzuki Jimny has been winning hearts and minds the world over ever since the first spy shots emerged. As an affordable, boxy, and disarmingly simple little thing, what’s not to like? Unfortunately, there is one aspect of the new Jimny that’s not so great: the way it holds up in a crash. During its extensive Euro NCAP test, it could manage only a three-star rating. Its rating of just 52 per cent for Vulnerable Road Users - partly due to poor impact protection at the front of the bonnet and “weak performance” of the autonomous braking system - played a big part in the less than ideal result, but its Adult Occupant score wasn’t great either, at 73 per cent. 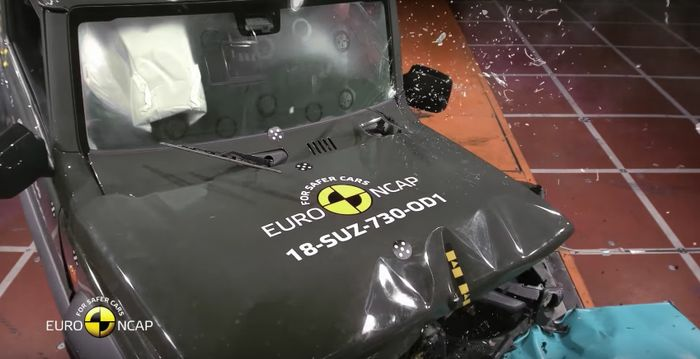 The Euro NCAP report notes that the passenger cell “extensively deformed” during the offset test, and there was also “insufficient pressure in the driver’s airbag to prevent it from ‘bottoming out’, allowing the head to contact the steering wheel”. Doesn’t sound awfully pleasant, does it? 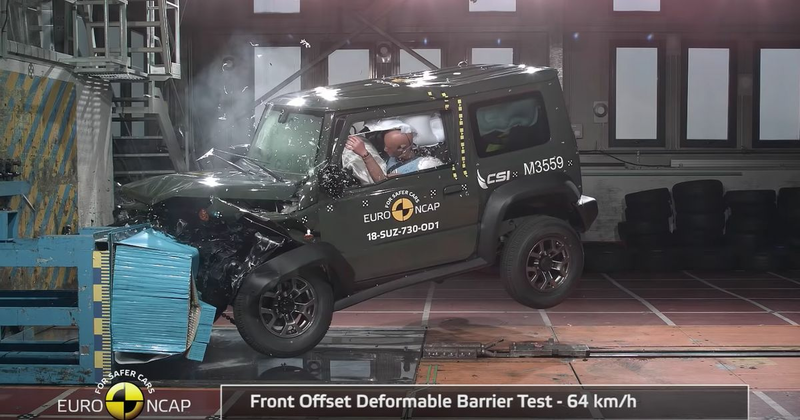 Parts of the dashboard and instrument panel are said to be an injury risk for anyone sitting up front, while head protection for rear passengers in the rigid-barrier impact test received a “weak” rating. Does this put you off buying one? Let us know in the comments.